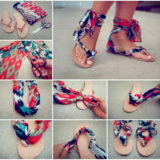 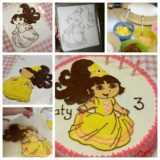 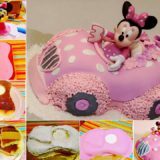 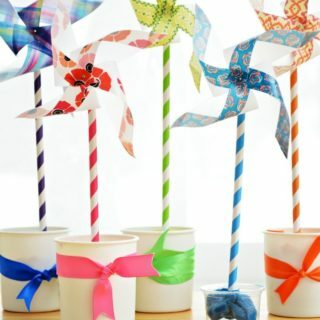 Sometimes the best crafts are the ones you can make with supplies you already have! 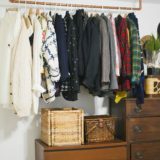 If you’re anything like us, most of these easy-access supplies can be found in the office, and probably in mass quantities. 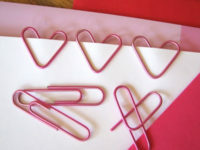 The supply we’re probably most guilty of hoarding is definitely paper clips! 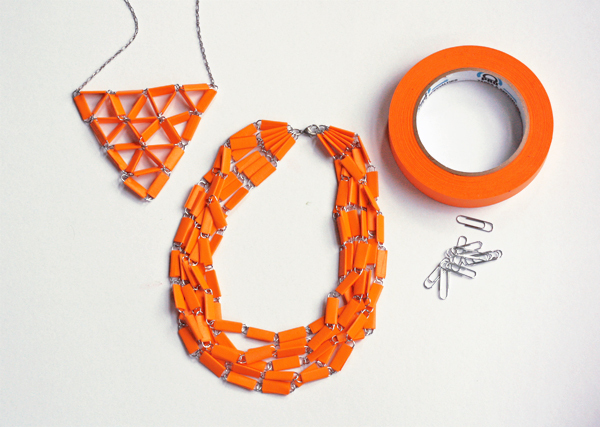 There’s always a DIY solution to having too many office supplies, though! 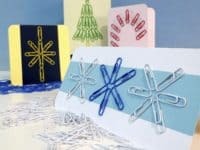 Check out these awesome ideas for making crafts with simple paper clips. 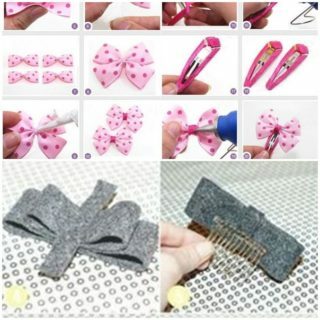 Things like studying don’t have to be plain and boring. 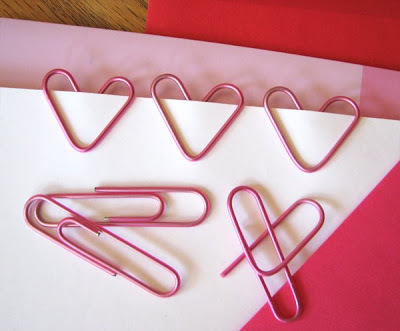 Bending your paper clips so each page you mark has a heart on it will brighten the process a little. 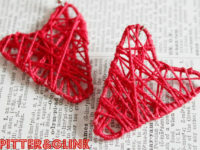 Speaking of how easy it is to bend paper clips into hearts, check out these adorable earrings! 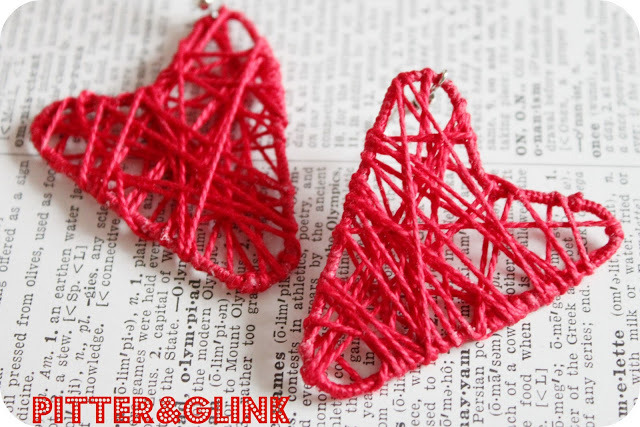 Paper clips, embroidery floss, and earring hooks are all you need. 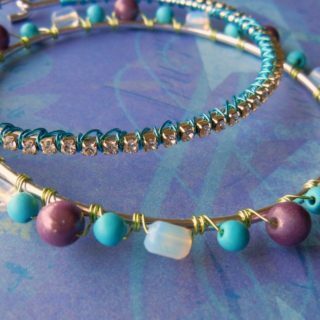 Grab a few cute seed beads and a pair of needle nose pliers and get bending! 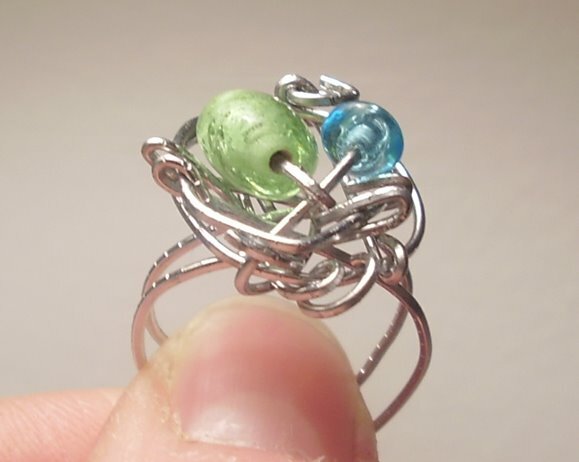 don’t forget to measure your finger before you finish bending everything into place. 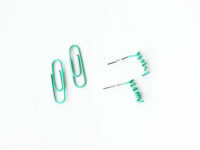 Many kinds of paper clips already come in fun colours, making them cool to look at before you’ve even started. 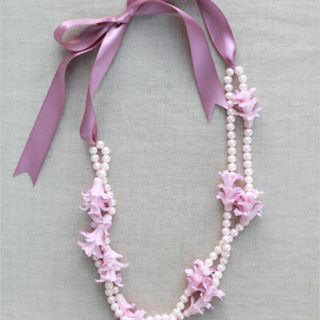 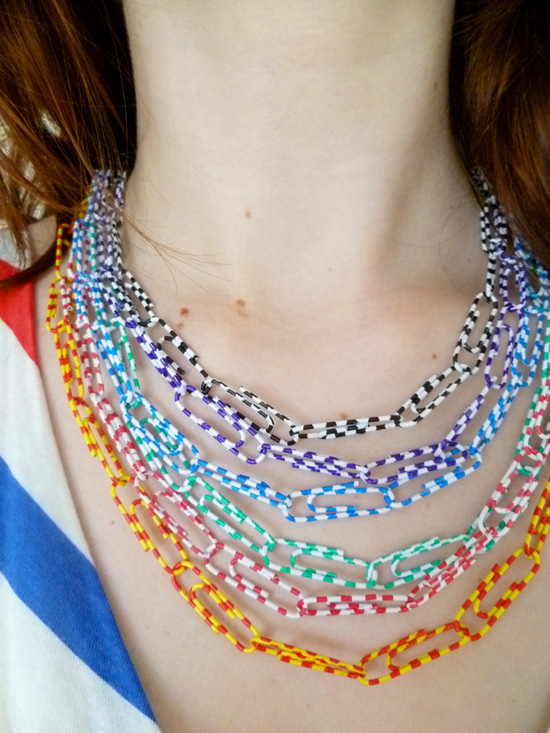 Choose differently coloured clips and make simple chains for a cool upcycled necklace effect. 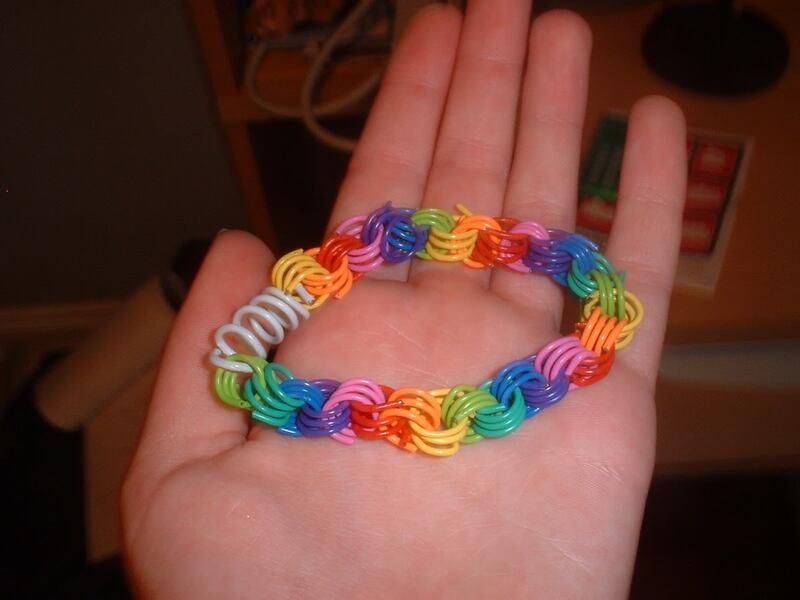 Unbend coloured paper clips and spiral them around the end of a pencil. Loop the spirals around each other until you’ve got enough links that the bracelet will slide over your hand! Washi tape and paper clips make for easy, eye catching jewelry! 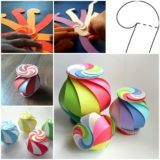 Link them together in whatever shape you please. 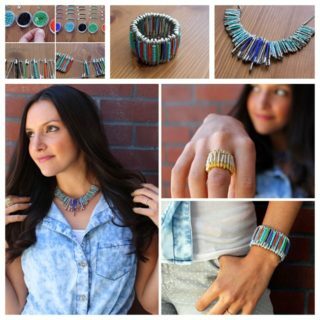 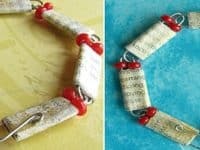 If you’ve ever made paper beads, then you’re already well prepared for making this cute, reclaimed link bracelet. 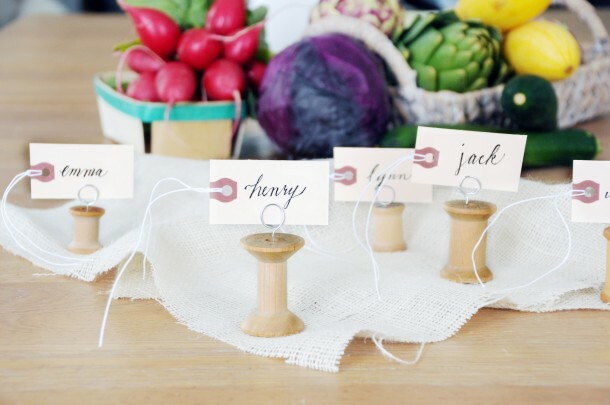 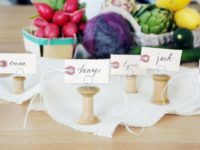 A paper clip in combination with an old thread spool and some plain tags make for very cute name cards at each person’s dinner setting. 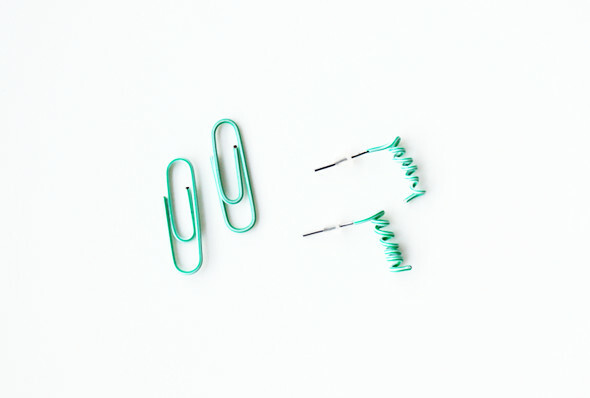 We can’t get enough of how cute coloured paper clips look when you unbend and spiral them! 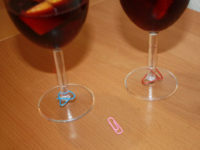 Check out these delicate little corkscrew earrings. 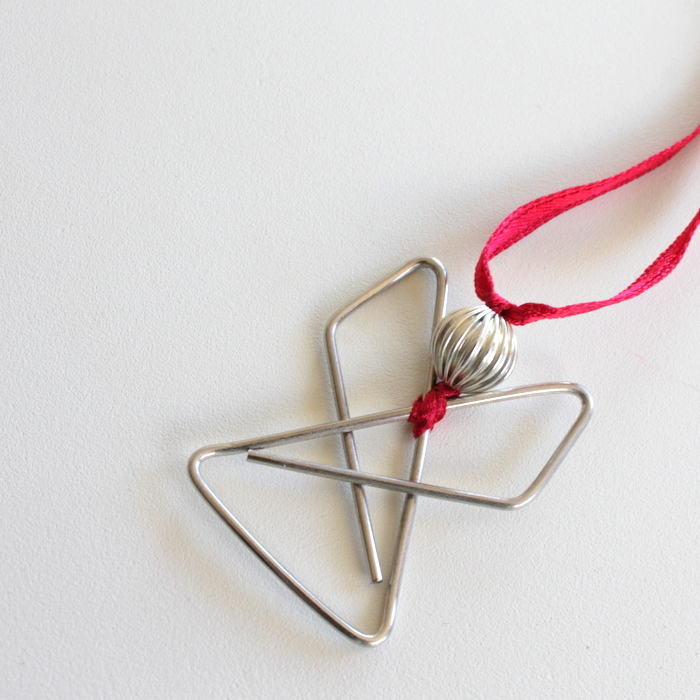 As long as you’ve got some ribbon and a matching bead, paper clips are all you’ll need to make delicate little angels for the Christmas tree. 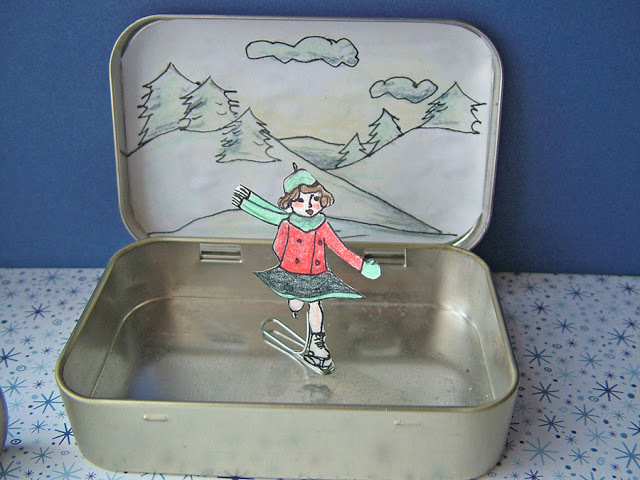 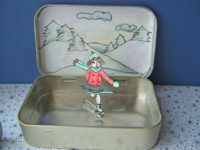 Create this little skater from a bent paper clip and a drawing, then pop a magnet underneath the Altoids can to get her moving! 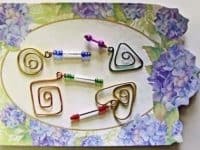 Whether you’re marking a recipe in a book or counted stitches on your knitting needles, these beaded paper clips are adorably decorative but still easy to make. 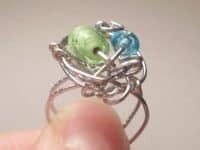 Sometimes you need a solution to a problem right away! Your massive stash of coloured paper clips might come to the rescue while you’re hosting dinner. 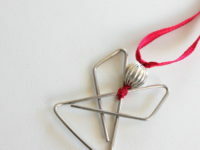 This little paper clip daisy is cute looking, but it can also be practical for holding little reminders. 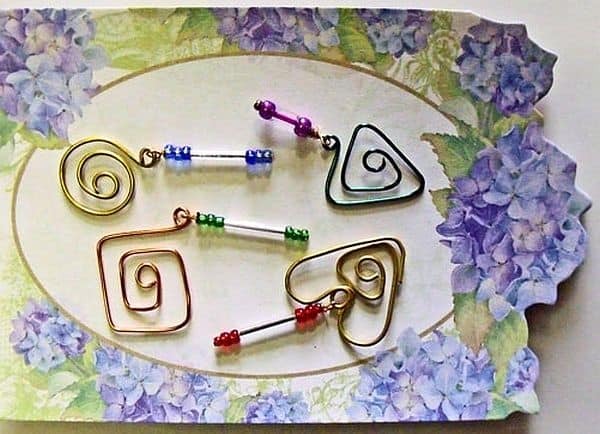 Reclaimed art makes a beautiful greeting, especially around the holidays! 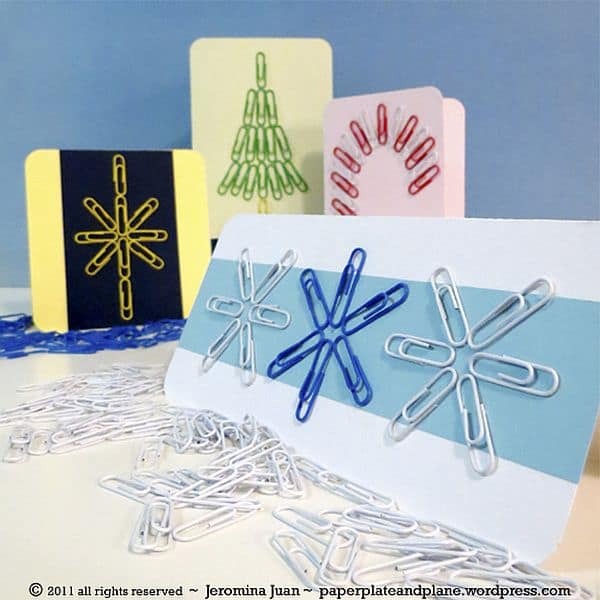 Do you know someone with a notoriously large paper clip stash in their office? 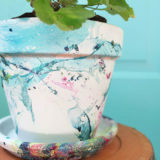 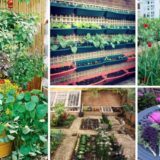 Share this post with them for a little bit of DIY inspiration! 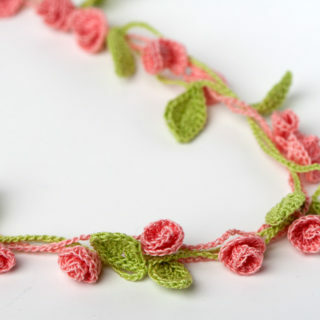 Crocheted Jewelry: Far More Special Than Anything in Stores! 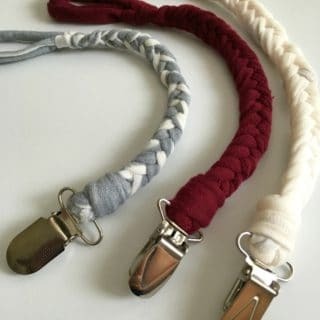 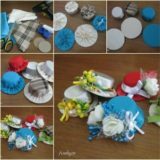 DIY Pacifier Clips: Never Lose Another Binky Again!